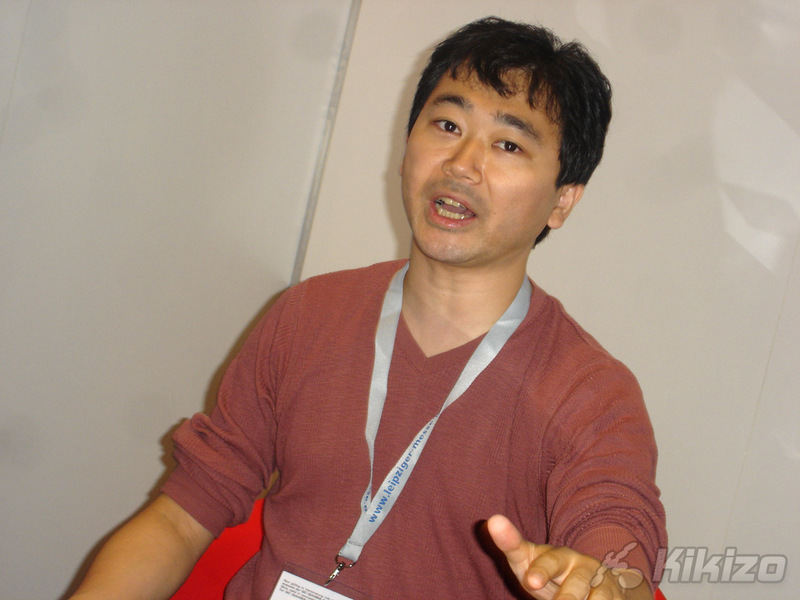 Namco Bandai's Hiroyuki Ichiyanagi tells us about this new, online-enabled, Xbox 360 exclusive series entry. You can thank the story for that. Told over the dozen-or-so missions, the story takes a branching approach, showing us the effects of the war on the men and women fighting on both sides and the people indiscriminately affected by it. 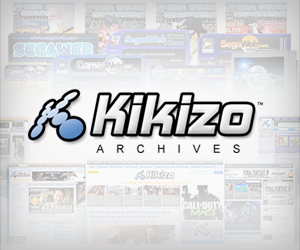 "I didn't want to portray people as just bad people or have them die as bad people," Ichiyanagi says of the team's approach to the Estovakian villains. "I wanted to portray them as humans, as sympathetic people who were just forced into these situations." The developers describe individual missions as large, with many objectives and more than one way to tick them off. 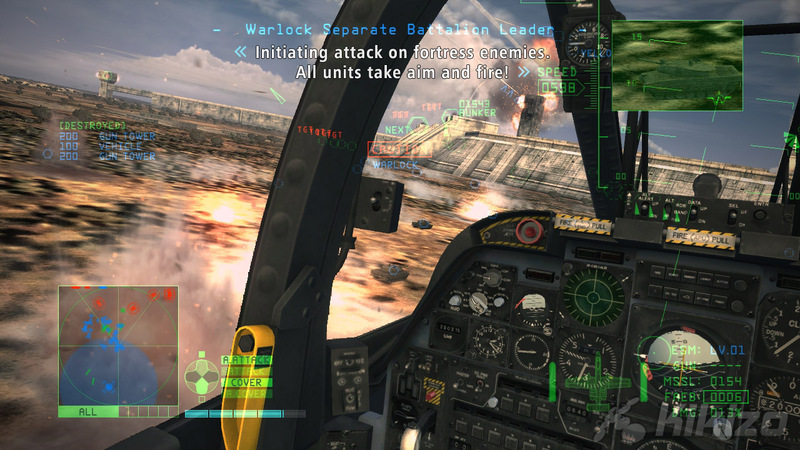 You see, Namco is just the latest to catch on to the player-freedom meme, so in Ace Combat 6, once you've started a mission, you'll be left to your own devices as to how you want to carry see it through. "Each individual is so large, with so many objectives, and the order in which the player completes the objectives will affect how the battle unfolds. So he can play through the same mission several times and get a totally different feeling," explains Linday Gray, another member of the development team. Gray, who estimates that it will take the average player around 15-20 hours to get through the main story mode, says that players will need to become comfortable with the team command system to make it through some of the more challenging missions towards the end. But that's far from the end of the game. 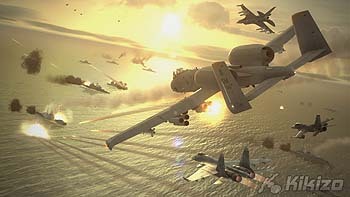 For the first time, Namco will have online play in an Ace Combat game, allowing up to 16 Xbox 360 owners to play together online. Four online modes have already been confirmed, including a co-operative battle mode where up to four people can team up to tackle computer-controlled opponents in specially designed missions. For the more competitive types, there are three main online modes. Battle Royale is a dogfighting free-for-all where players compete to see who can earn the most points. Team Battle takes this idea and adds comraderie to the pot, dividing the 16-player maximum into two groups. Then there's Siege Battle, where teams of players fight to control a piece of land. 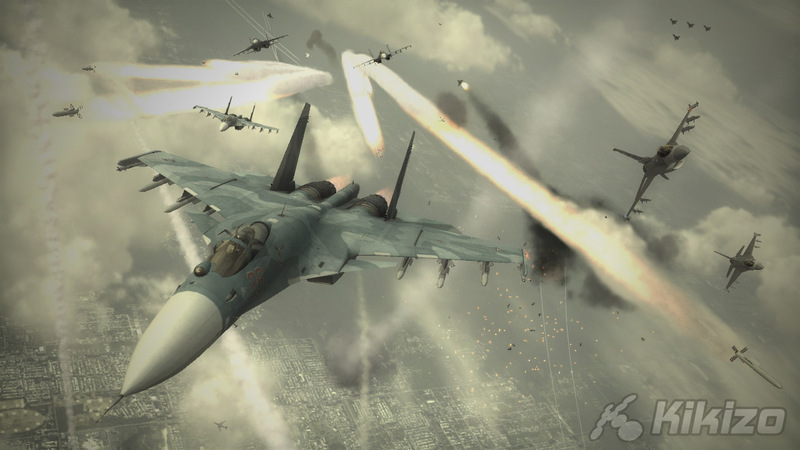 Online play is given an extra kick by the diversity of the planes on offer, as Ichiyanagi explains: "With an online battle, normally it would just become a matter of chasing your opponent around, which would make it a bit boring. 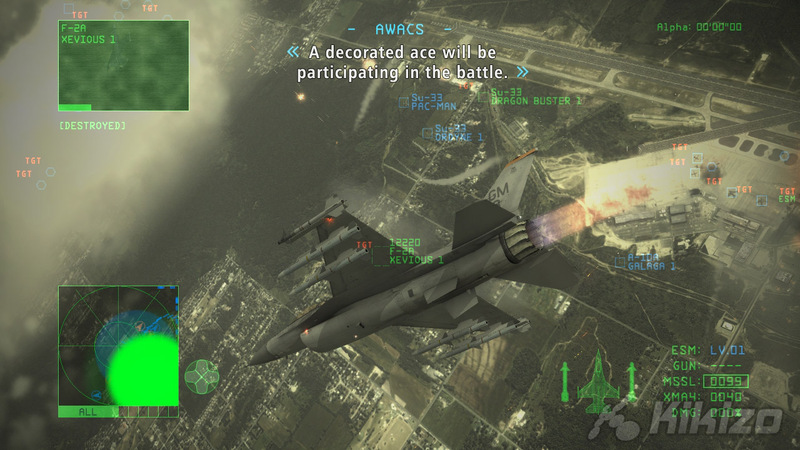 In the online mode [in Ace Combat 6], depending on the weapon and the aircraft you use, they'll have distinct characteristics which will make it a lot more interesting and balance the game out." With the long-in-the-coming online play now in the game, the developers are nartually looking forward, trying to figure out where they need to take the game from here, to make it appeal to an even bigger audience. Problem is, guessing which way to jump isn't so easy. "Honestly, we don't think we have any serious rivals," says Ichiyanagi, "which is a bit of a problem because it's hard to decide where to go next and what we need to concentrate on to improve the game even more." You can find out how they did this time around when Ace Combat 6: Fires Of Liberation arrives for the Xbox 360 starting November.